If you’re doing Black Friday shopping, you might want to add eBay to your shopping destinations if the leaked deals are anything to go on. While you do have the sales on Samsung 4K Smart TVs—as does everyone—there’s also a deal on DJI’s Phantom Drone 4 which is available at $899, saving customers $600. If you’re interested in DJI drones in general, eBay will have them for sale for most of next week. Also for sale during Black Friday are a number of laptops from Dell and Lenovo and other electronics. We can’t forget about Cyber Monday with the newer versions of the PS4 and Xbox One—the PS4 Pro and the Xbox One S—being for sale. The Xbox One S deal is pretty much the same elsewhere at $299.99, but also gets you Gears of War 4 and Deus Ex: Mankind Divided. The Elder Scrolls V: Skyrim Special Edition could also be discounted on eBay. The Black Friday sale kicks off next week and Cyber Monday is after that, but the 20-percent off early shopper deal is going on now. 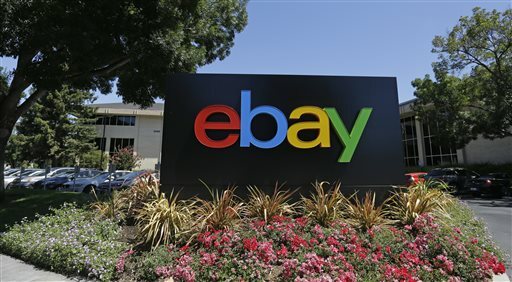 eBay also has an early shoppers’ deal where customers can get 20-percent off for orders of $25 or more. It features no electronics, but plenty of tools and home improvement goods.